Home » Weight Loss » BioX4 Reviews By Nucific – Is It Worth $1000 A Year? How Does Bio X4 Differentiate Itself? Note: We are NOT affiliated with this supplement in any way, and we were NOT paid to write this Nucific BioX4 review. These beneficial bacteria are present in the human body in such numbers that they are more populous in the human body than cells native to human biology on an exponential level. There are countless different strains and species, each with subtle variations on their overall effect on human health and disease processes. There are also some “bad bacteria” that you’re likely either unaware of, or simply don’t pay much attention to. We have previously covered the intricate details of what these beneficial bacteria (and NON beneficial) are and just precisely what roles they play in our bodies in our educational piece on probiotics. Here, you will find invaluable information about probiotics and prebiotics, coupled with some of the buzzwords and gimmicks that the supplement industry uses to drive sales – some of which are true, while others are red flags at best and outright misleading or even false at worst. But the focus of this article will be on one particular probiotic pill that came to our attention, called BioX4. to jump to her review. Now, there are hundreds – if not thousands – of different brand-name and even generic probiotic formulations. They include Peptiva, Probioslim, and countless others. These can range from isolated strains, such as the popular and well-known acidophilus supplements that you can find in any vitamin aisle in any supermarket in the country, to the “top-shelf” advertised products that claim to combine the health benefits of probiotics with other ingredients contained. These combination products generally claim to be proprietary formulas and are generally priced much higher than their standalone competitors. BioX4 from Nucific, is one such combination formula that purports to be a probiotic-based product that not only has the proven health benefits of multi-strain probiotic supplementation but also combines ingredients from three other supplement families in order to act as a complete weight-management solution. The question is, will the asserted claims of BioX4 highly-priced ($139 for a 30-day supply) formula be worth their weight in gold? Will it really help to control cravings, boost your metabolism, help you burn more fat, and reduce gas and bloating after eating? Or will BioX4 be another formula full of so many false claims that it is just another example of the embodiment of the unbridled greed that sometimes saturates the largely unregulated supplements industry? The science and research behind probiotics like BioX4 and their symbiotic role with the biology of humankind has accelerated at a tremendous pace, specifically since the late 1990s, such that as clinical trials of different strains of probiotics increasingly demonstrated positive results, this core concept of immunology rewrote itself into the treatment of many different conditions, ranging from irritable bowel syndrome to depression. In fact, recent studies have shown that over 80% of the human immune system actually originates from the intestinal flora, which is populated with the traditional “bad” bacteria that we think of when we think of “antibiotics,” as well as these beneficial probiotics, with the balance of these different organisms being tantamount to good health. These many trillions of living cellular entities coexist in a delicate balance that has implications system-wide inside the human body. It only makes sense, then, that it is very important to maintain a healthy balance of probiotic organisms in one’s intestinal flora if one wishes to reap the benefits that these bacteria have to offer. Probiotics like BioX4are classified by the FDA as dietary supplements, which means they are not subject to the intense scrutiny and regulations as pharmaceutical agents. While this detail provides the supplement industry with the ability to spark innovation without fear of governmental interference, it also means that supplements can also be associated with having a negative image because of the countless false claims that are make on a regular basis without penalty. So, if you are a supplement user, you already know that the market is full of these products, and you should already know that an informed supplement shopper is the best supplement shopper, and this is especially true of purported “special formulation” products like BioX4. As mentioned above, the manufacturer advertises this supplement as a “4-in-1” weight management solution. This is due to the “revolutionary new” formula contained within the supplement, that will provide the user with digestive support, appetite suppression, and weight management, due to the unique combination of four different ingredients, the base of which is a probiotic blend. When I was originally doing my research for Bio X4, I came across a video that is ultimately a pitch for the supplement. It’s narrated by a Dr. Amy Lee, a Bariatric Physician who specializes in nutrition, wellness, and weight management and is the founder of the Integrative Wellness Center located in Los Angeles, CA. What was a bit strange, though, is that when I went to the Integrative Wellness Center About page, I don’t see any mention of Dr. Amy Lee. Now, Nucific does a pretty good job of controlling the distribution rights of this supplement, as it seems there are only two ways to order; direct from their website (www.Nucific.com/Bio-X4) and on Amazon. However, I was recently contacted by a representative from Nucific Bio X4, and she told me that they do NOT authorize any resellers on Amazon or eBay. When people buy from these resellers, I was told they cannot guarantee the authenticity of the product they are buying, or whether the product is properly stored and shipped. Additionally, because you’re ordering from Amazon, these 3rd party re-sellers do not exercise a 90-day money back guarantee, offer a plethora of free email content, or offer customer service like the official Nucific Bio X4 website does. Purchasing from their website allows one to take advantage of a “special introductory price” of $99 for the first month. You can also order in quantities of up to a 180-day supply for just under $500. They do offer a 90-day risk-free trial period, billed as a money-back guarantee, which is always a good thing when dealing with any new supplement. This product is advertised with some very standard tactics used to inflate the claims of effectiveness for many different supplement products. For example, as indicated on the Bio X4 label, the manufacturer has combined its core blend of different probiotics with a “digestive enzyme compound,” green tea extract (EGCG), and Caralluma Fimbriata. The serving size is one capsule three times per day, and the 90-capsule bottle is equivalent to a one-month supply. Now, upon looking at this label and reading the product information, there are some immediate red flags that pop right out due. The first one that just screams out is the claim that, by taking 3 capsules a day in addition to staying away from carbs and sweets as well as beginning an exercise regimen, that you will begin to experience results in 1-2 months. You’re probably thinking that this claim doesn’t seem to be too overzealous, so why does it send off warning shots? Well, it’s the kind of claim that really means nothing at all, because a person who cuts out unnecessary carbohydrates and sweets from his/her diet and who concurrently begins a regular exercise regimen should start to see results in 1-2 months regardless. So, unless this 1-2 month weight loss amount was so absolutely remarkable (it’s not) that completely delineated users of BioX4 from the rest of a controlled population trying to lose weight without it, the claim itself is absolutely meaningless. So, if this product’s main claim regarding weight loss falls apart so quickly, what is it about Bio X4 that makes it stand out from the competition? Is there really such a significant advantage to the “revolutionary new” formulation that the massive price tag of $139.95 for a 30-day supply is warranted? Apart from the Biox4 reviewsposted all over the internet, let’s explore each ingredient contained therein to determine if there really is a solid benefit to this particular brand or if the $18.91 competitor will bestow the same benefits upon the user. We will also take a look at some of the feedback from real consumers who have used Bio X4. 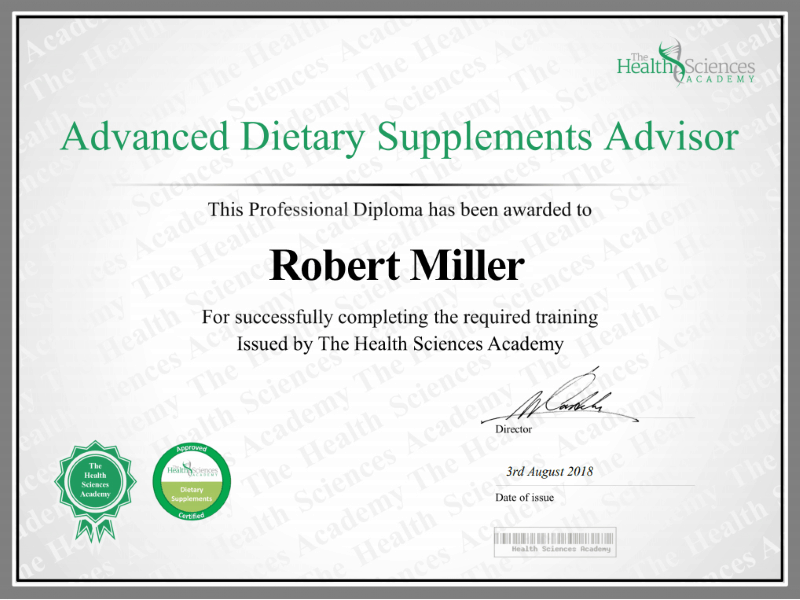 It goes without saying that trying any new dietary supplement should not be undertaken unless the user has scoured the label for any obvious signs of ingredients he/she may be allergic to. Note:Bio X4 has potential drug and medical condition interactions.Click Here to readsome frequently asked questions we get regarding this, as well as a full list of prescription drug interactions.Reviewed byDr. Brian Straub, Pharm.D. Then, once a person has made sure that none of the ingredients are known personal allergens, the next step in determining whether the product is safe is to investigate the individual components against any reports of adverse effects by people who have used the supplement. These symptoms will go away with time, if they occur at all. The only other possible adverse effect that could occur in any real sizable population would be the inherent caffeine content that could be associated with green tea extract, and even then, such effects would only occur in those who are caffeine-sensitive individuals. So, the real concern with Bio X4 is not going to come with any risk attached to its ingredients, but whether the ingredients as combined and dosed will have any noticeable effect at all. Let’s look at each of these ingredients. The label on Bio X4 shows that the probiotics a combination of Lactobacillus and Bifidobacterium species (the most well-known of probiotic species), for a total of five different strain at a total of 4 billion CFUs (that is, colony-forming units, the standard of measurement regarding all bacteria – the more CFUs, the more chance that the beneficial bacteria will populate the intestinal tract) per capsule. Now, you may think, “Wow! However, a quick search for “probiotics” on a major shopping site will reveal a competitor to Bio X4 mentioned above that offers a total of 10 billion CFUs, and comes in at a whopping 10% of the cost of Bio X4. With that said, while the strains of probiotic bacteria in Bio X4 may provide the user with some digestive benefits, including reduction of long-term bloating and gas, the product simply does not stack up to its much cheaper, far-superior competition with regards to its probiotic content in terms of both the amount per serving (34.7 billion CFUs in the competition versus 4 billion in Bio X4) and the variety and diversity of different strains (11 in the competition versus 5 in Bio X4). But wait, what about the “revolutionary new compound” in BioX4? Could it be possible that the combination of the probiotics in Bio X4 with the other ingredients could really synergize in such a manner that the benefits justify the hefty price tag? Is there some sort of magical property of Bio X4 that makes it more beneficial to overall health than making your own 4-part regimen out of standalone supplements? Let’s explore that as well. According to Bio X4’s label, each capsule contains 88 mg of a blend of “digestive enzymes” containing Amylase (from Aspergilus Oryzae), Bromelain, and Lipase (from Rhizopus Oryzae). Coincidentally, amylase and lipase are 2 of the major enzymes responsible for the digestion and absorption of nutrition from food. So, what health benefits might these enzymes contribute to? Amylase “catalyses the hydrolysis of starch into sugars.”Being that this digestive enzyme deals with sugar digestion, it would only make sense that amylase supplementation may be of some benefit in diabetes prevention. Furthermore, it is also suspected that this enzyme may play a role in improving digestion, preventing some types of cancer, and boosting energy levels. Bromelain is a mixture of multiple digestive enzymes that aid in the digestion of proteins.This mix of enzymes can be found in pineapples and has been shown to be effective at reducing swelling and inflammation, especially with regards to sprains, postoperative pain, and tendinitis. Lipase “catalyses the hydrolysis of lipids.”A high level of this enzyme is generally a marker of pancreatitis, and as such, there is some preliminary evidence that supplementation with lipase may be of benefit for those suffering with pancreatic disorders, and may further reduce bloating, indigestion, and excess gas. So how does the enzyme blend of Bio X4 stack up when compared to similar standalone enzyme products? Well, while there are definitely some promising potential benefits to supplementation with these vital digestive enzymes, the problem with Bio X4 once again comes down to the astronomical price tag associated with this supplement. It is just plain insane to justify spending $139.99 (or even the first-time buyer discounted price directly from the manufacturer of $99.00 for a 30-day supply) for a supplement such as Bio X4. For example, you can simply combine a superior digestive enzyme supplement, such as Absorb Your Healths Advanced Digestive Enzymes, which includes the same enzyme blend (and other digestive enzymes) at a much more significant dose than what is included in Bio X4, at a much more affordable price of $14.99. Now, there does seem to be some promise in this area when it comes to the major constituent of green tea, a compound known as EGCG, of which Bio X4 contains 100 mg per serving. Studies have also shown some promise with regards to the treatment of sepsis with EGCG in animal studies, but as of 2015, these claims have not been proven in human disease processes. However, once again, the key point here is the price comparison. While the “all-in-one” approach seen in Bio X4 may be a bit more convenient than taking several different supplements, this perceived convenience simply cannot justify such a steep price tag, especially when there are green tea supplements, such as this one from Jarrow, that contain 5x the amount of EGCG as Bio X4, and can be purchased for the much more sensible price of $6.99 for a quantity of 100 capsules. Unfortunately, while there may be such anecdotal evidence supporting this, there is currently insufficient evidence to show any scientific validity to this claim. While this does not mean that the claims are untrue, it really boils down to an individual experience as to whether this ingredient will be of any beneficial use in controlling hunger and cravings. This particular supplement is generally representative of what you will find out there in terms of single-ingredient Caralluma supplements, and at $5.95 for a 30-day supply (with a serving size that is 9 times the amount found in Bio X4); the frugal supplement user will be incredibly happy going with one of these instead of Bio X4. Bio X4 Reviews – What Are They Saying? Reviews for Bio X4 on a wide variety of sites are mixed, with the vast majority being positive. Most of the positive reviews came from people who gave the formula positive reviews based on some very subtle positive gastrointestinal benefits they experienced. Many of these are very careful to warn others not to get up hopes that this is some sort of miracle cure., which is good advice. On the flip side, there are plenty of complaints on Amazon, with users warning other people not to waste their time. As mentioned earlier in this review, Amazon resellers selling Bio X4 do not represent Nucific. Therefore, it’s unknown how credible the reviews on Amazon are when they come from 3rd party resellers. Another Bio X4 complaint about the product is that there is very little to no effect on appetite whatsoever. Some of the other negative comments seem to stem from their up-selling process. One user reported being charged for close to 7 bottles when he only wanted 1. However, it’s important to note that this same user contacted the customer service department at Nucific and promptly received a refund. This gives us proof that the company indeed does adhere to their 90 day money back guarantee. I ended up taking Bio X4 and after a few days started to feel a bit strange. I’ve never actually taken a probiotic supplement before, but something in Bio X4 was giving me terrible gas, indigestion, and an upset stomach. I stopped taking it at around day 4, so unfortunately I can’t tell you what sort of long term effects you may get from it. Of course I can’t be 100% certain that Bio X4 was the culprit here, but I wasn’t about to continue taking it based on the effects I was getting. I’m thinking about having my wife try it out so we can get an accurate gauge as to it’s effectiveness, or if I get brave maybe I’ll give it another shot down the road. So after about 4 or 5 months, I finally got around to having my wife test out Bio X4. I’m not sure if I mentioned it before, but I literally have no experience with probiotic supplements. By that I mean I’ve never taken one, and really haven’t done any research on them prior to this one. She’s taken plenty of probiotic supplements over the years, and was probably a better candidate for the test to begin with anyways. I’ve taken a wide array of probiotic supplements over the years, including Swanson probiotics and the Natures bounty brand, as well as some off-the shelf brands at Walmart. Usually I take them just to be “regular”, but I was surprised when Rob handed me the bottle of BioX4 and said it was mainly used for weight loss. In any event, I decided (after he had been hounding me about taking it for the last 2 months 🙂 that I would try it out. I’ve put on a few pounds over the last 6 months or so, and was thinking about using a weight loss supplement anyways (Rob has about 100 of them in his office). The first thing I noticed was that my appetite started to go way down about 3 days in. I was having to force myself to eat, and when I did, I was full with about half of the usual portion. I also started to feel the same way Rob did when he tried it out, namely, I was getting a bit of gas and upset stomach. Unlike him, I expected this and just kept taking the Bio X4. Within about a week and a half I saw that my tummy started to look and feel less bloated. I didn’t really feel like I lost any weight, but in appearance I just looked skinnier. I confirmed this when I stepped on the scale and saw that I really didn’t weigh any less than when I first started out. This whole time I could sense an increase in energy, more so then with many of the other probiotic pills I’ve taken before. It wasn’t the type of energy you get from a morning cup of coffee, but more of a “clean” type of energy that left me feeling awake. Strange for me, because I’ve never experienced this with a probiotic. About 3 weeks in to my experiment with BioX4, I decided to step on the scale again and was pleasantly surprised that I had actually lost about 7 pounds. Mind you I wasn’t doing anything different during this time period. I wasn’t exercising any more than I usually did. I wasn’t changing up my diet or eating cleaner. And I certainly wasn’t taking anything other than Bio X4, supplements wise. I’m not sure that I actually burned off any fat during this time period, but I definitely was looking and feeling skinnier. And I’m pretty sure Bio X4 was to blame (in a good way of course). As someone who has taken probiotics before, I highly recommend it! My wife just got done testing out an alternative to Bio X4 called Peptiva, and had nearly identical results. Additionally, it also happens to be 1/2 the price of BioX4! I haven’t had a chance to post her review yet, but I should have it up within a week or so. In the meantime, click here to read more about Peptiva. Bio X4 could potentially interact with certain medications or medical conditions. Can I take BioX4 if I have high blood pressure? This supplement does not appear to have any contraindications for those with high blood pressure. Can I take BioX4 if I have LOW blood pressure? This supplement does not appear to have any contraindications for those with low blood pressure. Can I take BioX4 if I have diabetes? Some of the ingredients may lower blood sugar and alter the effects of insulin.When adding a new supplement that may lower blood sugar, it is best to monitor your blood sugar daily for the first week. Are allergic reactions possible with BioX4? Do not take if you are allergic to pork protein, pineapple, latex, wheat, celery, papain, carrot, fennel, cypress pollen or grass pollen. Can I take BioX4 with alcohol? Although it is always best to limit alcohol consumption when taking supplements, there appear to be no adverse effects when taking with alcohol. Can I take BioX4 with Viagra / Cialis? There appear to be no interactions between this supplement and this class of medications. Can I take Bio X4 if I have a bleeding disorder? There is that possibility that an ingredients in this product may decrease your body’s clotting ability (thin your blood). Can I take Bio X4 with caffeine or other stimulants? The green tea extract used most likely has a low level of caffeine present, but it is unlisted amount. Many of the potential stimulant adverse effects are related to interactions with caffeine. This will depend on your body’s sensitivity to caffeine. Can I take Bio X4 if I am pregnant, planning to become pregnant or breastfeeding? There is not enough reliable evidence to support if this supplement is safe or unsafe during pregnancy or breastfeeding. Are there any others medical reasons why I shouldn’t take Bio X4? Weakened Immune System (There is some concern that live bacteria from probiotic supplements might grow too well in people whose immune systems are weakened. This includes people with HIV/AIDS or people who have taken medicines to prevent rejection of a transplanted organ. Lactobacillus has caused disease (rarely) in people with weakened immune systems. To be on the safe side, if you have a weakened immune system, talk with your healthcare provider before taking lactobacillus. As of this review, you won’t find Bio X4 in stores like Walmart, GNC, Walgreens, CVS, or Vitamin Shoppe. In fact, apart from a few people selling some leftover bottles on eBay, the only place you can actually find it for sale is on their official website, which I mentioned earlier in this review. As I touched on earlier, Bio X4 is NOT cheap. A 30 day supply will run you $99, although they do offer discounts for larger order sizes. Nucific Bio X4 is a combination product that mixes beneficial probiotic strains with three other supplements for what is supposed to be a 4-way approach to digestive health and weight management. Based solely on the reviews, BioX4 looks like a winner. The vast majority of people that take it seem to get great results, while the complaints are kept to a minimum due to their positive customer service experiences and 90-day money back guarantee. While it is convenience – even preferable – to reduce the number of pills that one must swallow to obtain all of these different compounds, it is very clear that the manufacturer of Bio X4 has slapped on a very inflated price tag on a product that may have some beneficial properties. While the benefits of the probiotic strains from the Lactobacillus and Bifidobacterium families contained in Bio X4 may be real, the other ingredients suffer from the plague of “insufficient clinical data” that many other supplements also have issues with. Furthermore, by simply procuring separate sources for each of the four ingredient classes that are present in Bio X4, the price-conscious supplement user has the possibility of the experiencing extra benefits that the larger doses present in standalone products may contribute to. Even with the special introductory price of $99.00 for the first month’s bottle (and $139.99 per 30-day supply afterwards), one would be remiss not to consider the possibility of taking each ingredient separately. When purchased separately, one can obtain a far-superior probiotic blend for a $18.91, a far-superior digestive enzyme blend for $10.88, an EGCG supplement with five-fold strength for $6.99, and a Caralluma supplement with a whopping 900% stronger dose for $5.99. This means that you can end up with a much more powerful supplementation with the separate ingredients for a total of $42.77, which equates to less than 45% of the special introductory price of Bio X4 and a minuscule 30% of the price of the retail price of $139.00. As such, unless you find it completely and absolutely impossible to take 4 pills instead of one (the only real positive point for Bio X4), you would be much better off, in terms of both supplement dose strength as well as price, by simply ordering separate supplements for each of the four ingredient categories found in the “revolutionary new” formulation that is Nucific’s Bio X4. The bottom line is, while there may be some minor overall health benefit and some significant gastrointestinal benefits from taking Bio X4, the astronomical price of this supplement coupled with the less-than-stellar dosage amounts of probiotics, enzymes, EGCG, and Caralluma contained therein certainly seem to make this product a cautionary tale of what happens when supplement manufacturers overstate claims in order to simply make as much money as possible from those who know no better. Unfortunately, for us the Bio X4 price tag is too high and its dosage is too low. So, do yourself a favor and save close to $1000 a year – or the equivalent of approximately six-months’ worth of electric bill payments – by simply buying each of these supplements in their standalone formulations. In this case, it is very prudent not to be fooled by the aesthetically pleasing, sleek-looking package and well-placed, paid testimonials that house the supplement that is Bio X4. Your wallet will definitely thank you for doing your due diligence instead of just clicking “buy now” on the product with the prettiest package. Have You Used Bio X4? Leave Your Review Below! Both my husband and I have been taking BioX4 for about three months. Personally, I haven't seen a huge difference, but I've been told many times probiotics and any supplement regimen can take four to five months to really show results. My husband, on the other hand, is finding something unusual occurring. He would periodically, every 4-6 weeks or so, experience these upper stomach area pains. He wasn't sure if it was a hernial-type injury or something internal. It would always fade in a day or two, so he kept dodging going to the doctor. Since he started these, he has not had a single occurrence of that pain. We equate it to an upper GI track issue that may be aided by this Bio X4. As for me. I do see some subtle changes. I cannot say I suddenly don't feel hungry and my belly has gone down two sizes or anything that I know women like me wish to hear. But what I have noticed is a different kind of energy and less gas by far! Even though my stomach isn't any flatter, it feels way less bloated. I feel more comfortable in my body. This I must assume is the results of holding less gas in my body. Hey, I'll take it. For the record: I have not dieted or increased my exercise whatsoever. But neither has my husband. He works out 3-4 days a week doing basic workouts at a local gym. I dance two nights a week and we do two to three dog walks (2-4 miles each walk). I still eat my sweets though. As mentioned in this article, I noticed the claim take these supplements and avoid sweets and carbs. My first thought was also: "Well if I just plain old avoid sweets and carbs I'll see a difference right there!" I still think it's a pointless statement to make, but with or without the sweets, I will keep taking these and hope for better long-term results. I see them like a vitamin or part of a daily regimen. Until and if something else comes on the market that is proven to trump it, these are my go-to for now. Probiotics are a tricky thing. Most don't even survive the minute they hit your gut. And we're talking tens of thousands. Most doctors and even my horse's vet have told me the refrigerated shot is the most effective. But it's certainly not cheap or practical. So, for now, this is the next best thing. I have been taking this for about 3 weeks. The reason I bought this is I was having terrible digestion problems. They included acid reflux, a full and uncomfortable feeling, gas and indigestion. The first 2 days I felt worse and stopped taking it for 2 days, but decided to try again. Lucky for me I started to feel better. After 12-14 days I no longer needed medication for acid reflux and the "full and uncomfortable feeling" is gone! I am completely satisfied with this product! I have never before found anything that straightened out my digestion like this product. (I am at the 2-week mark). I definitely have more energy. I have no mid-afternoon fatigue after a big lunch. I am experiencing no more upset stomach after a meal. I have not seen any benefits with appetite suppression though. I don't know that it works the same for everyone, but if it gives me more consistent energy all day and helps with my weak stomach, I'll be hooked! I bought it directly from the Nucific site. I took BioX4 for over a year and just stopped. There was no weight loss effect whatsoever. The only change was more pooping because of the probiotics. Probiotics that are just as effective can be bought for a lot less. I gave it a good long try before giving up. I used this for 6 months. I followed the directions and it actually caused me to gain weight! I actually never lost cravings, in fact, I found that I was getting nauseous if didn't eat. I have a strong will. I have never been someone that just sits around eating junk food. I stopped taking it when I gained 10 pounds! This was a waste of my time and money! My suggestion would be not to waste yours! 18 out of 19 people found this question helpful. Bio X4 has potential drug and medical condition interactions. Click Here to read some frequently asked questions we get regarding this, as well as a full list of prescription drug interactions. Reviewed by Dr. Brian Straub, Pharm.D.